Cartoonists often use exaggeration to make a point. 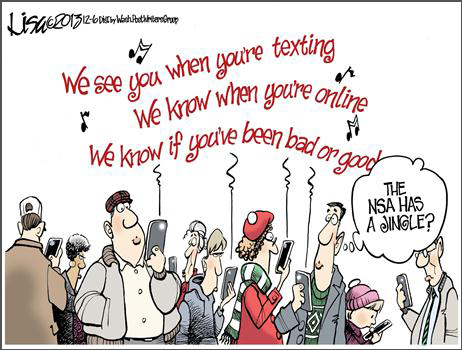 What point is cartoonist Lisa Benson making through exaggeration? The scope of the National Security Agency’s surveillance programs has gone way too far.